Crab cakes aren't the only kind in this town! If you've got a sweet tooth, order up a one-of-a-kind custom baked work of art for your next celebration. Whether it be a wedding, birthday party, new baby, retirement, congratulations, engagement, graduation, or any other special occasion, say it with cake! 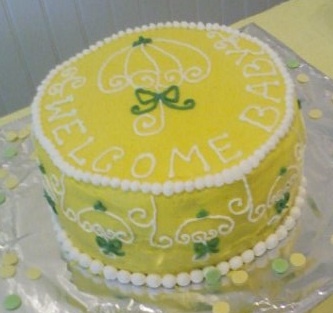 There's a lot of talent in Colonial Beach, and we are lucky enough to have a longtime resident with a culinary degree who specializes in baking and decorating fabulous cakes! Angie is her name, and cakes are her game. In addition to her kitchen skills, she's also an accomplished artist. Angie's passion is food, and it shows in the amazing sweet creations she designs. More than just cakes, these treats are a feast for the eyes, too! 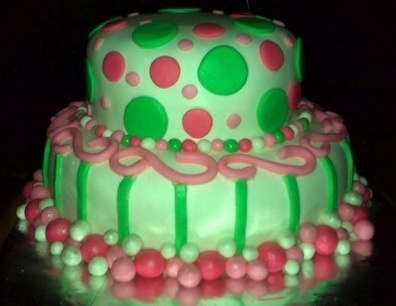 Intricate detailing, vibrant colors and beautiful designs can be seen in the cakes she makes. If you've seen reality shows on TV such as "Amazing Wedding Cakes" and "Ace of Cakes" you've been shown that cakes can be made in all shapes and sizes, from whimsical to traditional and the options are endless. 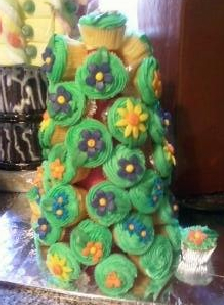 Rolled fondant or buttercream frosting will make the outside look as good as the inside tastes! Need a sports-themed creation? 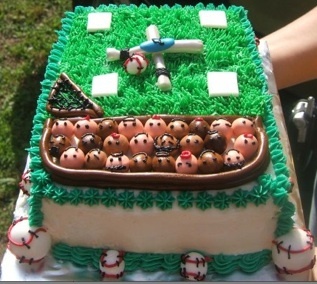 Take a look at this great baseball field sheet cake! You can reach Angie by phone at 804-761-4032 or by e-mail at agruszka@gmail.com.